Winston Churchill was rather proud of his slight stutter, which didn't prevent him from achieving his goals in life, including becoming a renowned politician and orator. According to him, "sometimes a slight and not unpleasing stammer or impediment has been of some assistance in securing the attention of the audience…." But for people whose lives are overshadowed by the cloud of serious language problems, the silver lining is harder to find. After all, fluent and comprehensible speech is unique to humans, and key to all of our social, professional and everyday interactions. When a child develops language skills and abilities in the right order, but at a rate that is significantly slower than his peers, that's known as language or speech delay. The key word there is significantly. Delayed talking may be an early symptom of learning disabilities, hearing loss, autism, psychosocial deprivation or mental retardation. This list of possibilities can cause a lot of needless worry. But if there is a serious problem, early detection can make all the difference. If it turns out that your child was just a late bloomer, the attention paid to their speech shouldn't cause any harm. So when parents are worried, it's often prudent to get expert assessment along with overall reassurance. If you're worried that your child is really behind on the speech milestones, you should start with a hearing check. Some children manage to understand and communicate a lot just by picking up visual cues, so you may not notice that they aren't hearing well. Early diagnosis and treatment of a hearing problem can be crucial for your child's future. 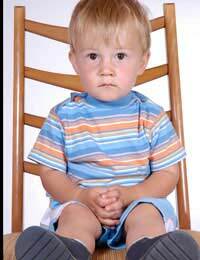 Stuttering, stammering and mispronunciation sometimes appear then disappear spontaneously in childhood. In others they can be lifelong sources of frustration. Children may dread being asked to read aloud in class, adults may find restaurant ordering an ordeal, where they request dishes they can pronounce rather than those they actually prefer to eat. One lovesick stutterer apparently even lost the love of his life because he was too shy to propose for fear of being unable to get the words out! But nowadays, children with stammers can usually be completely cured if they get help early. Speech therapy success is far more limited in a stuttering adult. Brain scanning research has pinpointed two areas in the brain that may be mistiming their communication in stutterers. It's not clear whether this mistiming causes the stutter or results from it. For all developmental milestones, there's a wide range of normality. It's perfectly normal to start walking as early as 9 months or as late as 18 months. By the same token, some children articulate words well before their first birthday, and speak in full sentences long before they're two, while others don't say much till they're 3. Some mispronounciations are also part of the normal process of speech development and resolve as children get older. There's actually no evidence to suggest that children who reach speech milestones early will do any better in later life than those who hit milestones within the normal range but a bit later. Why do Some Normal Children Speak Late? Nobody really knows why speech delay is so common. Some estimates say it affects up to 10% of children. Some say that in our highly self analytical society we just need to move the goalposts of what's considered normal, and save on the speech therapy bills. It's important for parents of bilingual children to know that some speech delay may be part of the normal development course in bilingualism. Younger children in big families sometimes don't talk much when young either because there are always others about to do the talking for them or because they can't get a word in edgeways. Other children just seem to be waiting till there's something worth saying. Parents who are worried by playground comparisons and sandpit competitiveness need to always bear in mind that different children develop at different rates. There's only cause for concern if your child is really significantly behind peers, and even then, stories abound of famous and gifted people like Albert Einstein who spoke very late. Legends surround the first words of Macauley, an eminent 19th century scholar, writer, barrister and politician. He famously did not utter a word until around age 4 when he turned to a wailing baby and asked, "what ails thee Jock?" Apparently soon after that someone spilled hot coffee on him, and when a concerned onlooker rushed to help, he said "Thank you madam, the agony has abated!"